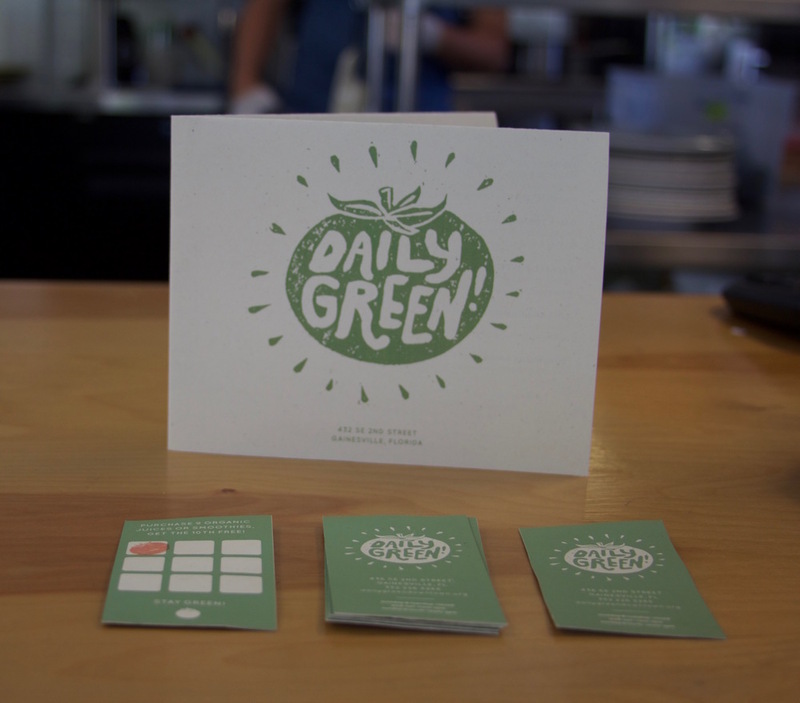 Daily Green is a small but thriving organic restaurant in Gainesville, Florida. Serving up eclectic meals varying between savory waffle cones and specialty sandwiches, Daily Green is focused on making food that is healthy, environmentally-conscious, and all around delicious. I approached the rebrand taking into account the restaurant's current client based and created an updated look that embodies the playful nature of this restaurant but retains functionality. I wanted to utilize some elements of their existing brand, as they are much beloved establishment in this town and a complete overhaul would not do them justice. The starburst pattern references a mural that covers the outside walls of the restaurant, and from there I pulled a general color scheme for the overall identity. For the logo, I decided to go the analog route and hand carve it on a linoleum block; Daily Green makes each dish fresh and from scratch so I wanted the logo to follow that philosophy as well. 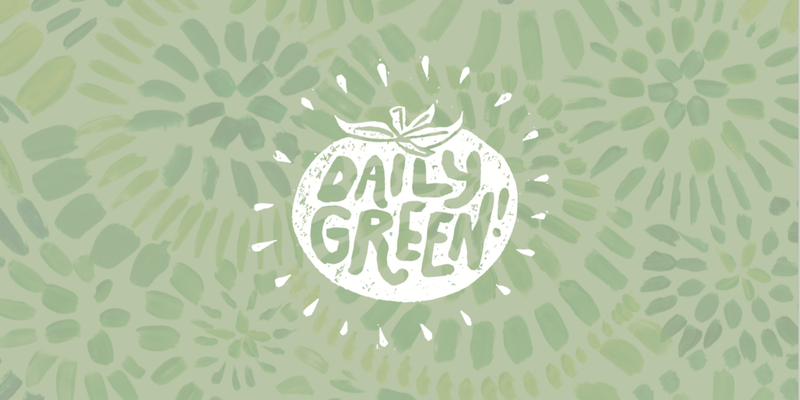 With this new update, the Daily Green brand is fresh, friendly, genuine and unconventionally delightful.